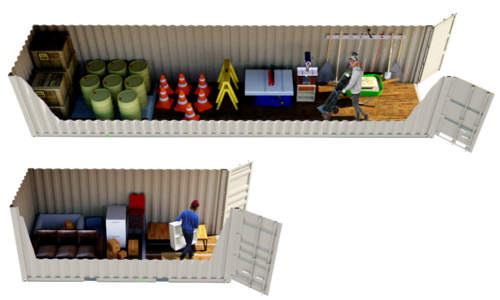 Modular and easy to relocate, repurposed shipping containers provide a sturdy, flexible solution for short- and long-term storage needs. 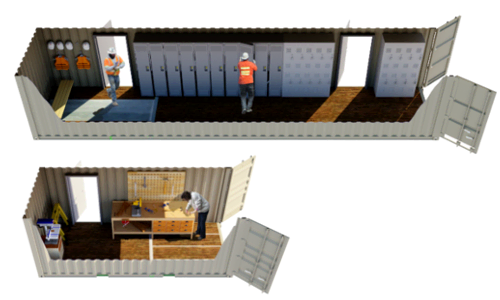 Falcon storage containers are constructed of durable, corten steel and finished with marine-grade, wood flooring. They require no special foundation and can be easily relocated. 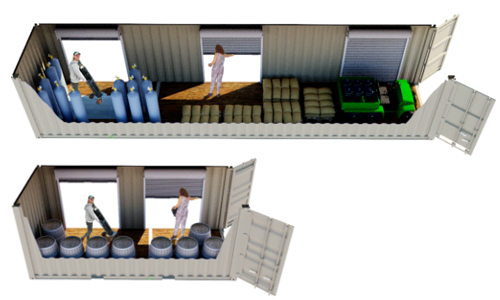 Available in a variety of configurations, Falcon storage containers stand up to extreme weather and resist pests. We even offer climate controlled solutions for added protection from the elements. 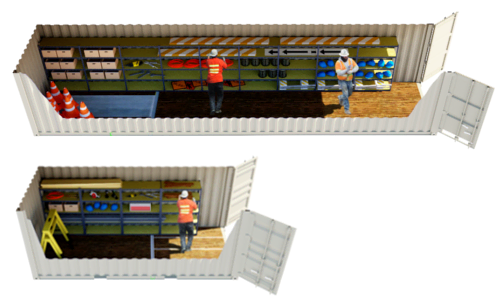 Securely store equipment, supplies, files, and more in either 20-foot or 40-foot storage containers. To protect stored items from heat, cold, and humidity, while optimizing employee comfort, consider a Climate Controlled Storage Container. This configuration comes equipped with an HVAC unit, lighting, and electrical, and includes standard, double, ground level doors. Choose from 20-foot or 40-foot storage options. An economical workhorse, the ISO, Conex, or Milvan container provides a flexible, durable storage solution suitable for any environment. 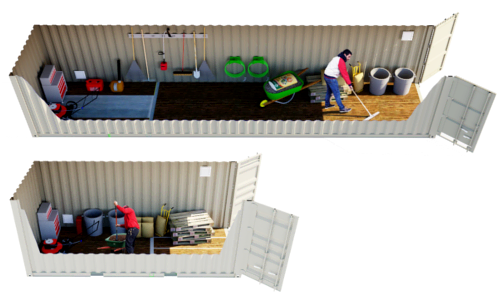 Storage containers require no special foundation and can be easily moved from site to site. Secure, double, ground level cargo doors allow for easy access. Choose from 20-foot or 40-foot storage options. 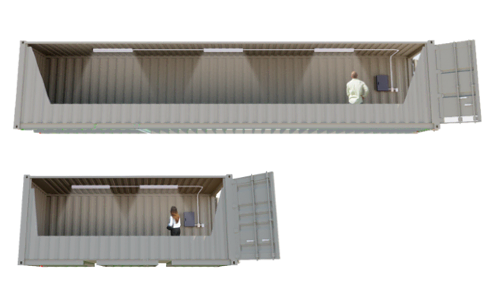 Using an ISO Storage Container, the Vented Storage Container is constructed of sturdy, corten steel, with double, ground level doors for easy access. We’ve added louvered vents to facilitate airflow, when an airtight environment isn’t ideal. Choose from 20-foot or 40-foot storage options. If you or your employees need quick and easy access to your storage container, consider the Storage Container with Personnel Door. The addition of a secure, steel personnel door offers an alternate point of entry to the standard double, ground level doors. Choose from 20-foot or 40-foot storage options. If you prefer multiple access points to your stored items, consider a Storage Container with Overhead Door. Multiple, roll-up, overhead doors allow for superior mobility, especially for maneuvering large or awkward objects in and out. Choose from 20-foot or 40-foot storage options. 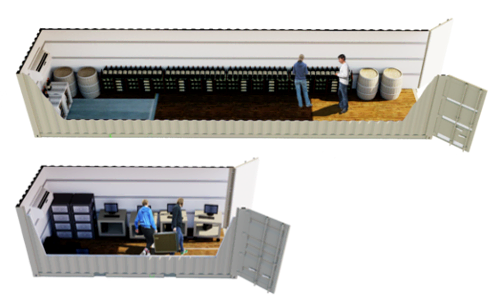 Secure your files in climate controlled storage with a Storage Container File Room. Equipped with an HVAC unit, lighting, and electrical, the File Room offers dual entry points through the standard, double doors and a convenient personnel door. Choose from 20-foot or 40-foot storage options. The Lighted Storage Container is an affordable storage solution suitable for most applications. Multiple fluorescent lights provide a well-lit environment in a secure space. Choose from 20-foot or 40-foot storage options. For efficient, organized storage, the Storage Container with Shelving can be fitted with adjustable shelving on one or both sides. 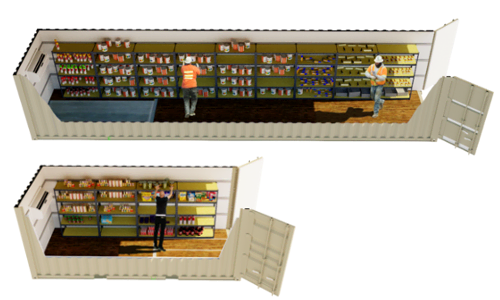 The Storage Container with Shelving includes dual entry points with the standard, double doors and a convenient personnel door. Choose from 20-foot or 40-foot storage options. 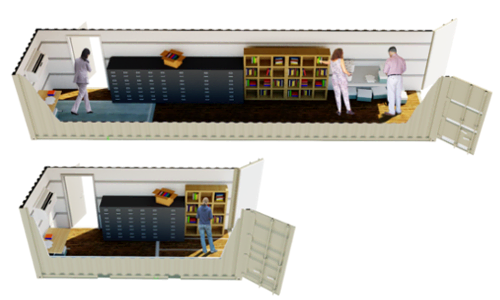 Like the Storage Container with Shelving, the climate controlled version offers efficient, organized storage with adjustable shelving on one or both sides, but also includes an HVAC unit. Choose from 20-foot or 40-foot storage options.